The BNP Paribas Open, to be held March 4-17 at the Indian Wells Tennis Garden, has released its entry lists today, which are highlighted by all of the top 75 ranked singles players on the WTA and ATP Tour. Ten former singles champions will descend on the desert in 2019: Juan Martín Del Potro (2018); Naomi Osaka (2018); Simona Halep (2015); Novak Djokovic (2008, 2011, 2014-2016); Roger Federer (2004-2006, 2012, 2017); Rafael Nadal (2007, 2009, 2013); Serena Williams (1999; 2001); Maria Sharapova (2006, 2013); Victoria Azarenka (2012, 2016); and Caroline Wozniacki (2011). Defending champion Del Potro returns to the desert where last year the current World No. 5 overcame Federer in an epic three-set final to claim his first Masters 1000 title. Osaka, the defending women’s champion, lost just one set en route to the title last year. The current World No. 4 claimed the US Open title in August and is currently in the running for the World No. 1 spot as she competes at the Australian Open. The current WTA World No. 1 Halep, who won her first major title at the 2018 French Open, will seek her second title in the desert, while ATP Tour World No. 1 Djokovic, who won Wimbledon and the US Open in 2018 to bring his major total up to 14, eyes a record-setting sixth title. Federer, the 20-time major winner, World No. 3 and 2018 Australian Open champion, also returns to Indian Wells with a sixth title in sight along with the potential to add to his 62 career match wins in the desert, the most in BNP Paribas Open history. Nadal, the 17-time major winner, World No. 2 and 2018 French Open champion, makes his much-anticipated return after missing the 2018 tournament and will be seeking his fourth crown in Indian Wells. They will be joined by 23-time major singles champion and two-time BNP Paribas Open champion Serena Williams, who reached the finals at both Wimbledon and the US Open in 2018. Two other two-time champions, Sharapova and Azarenka, and 2011 champion and World No. 3 Wozniacki will also be part of the exceptional fields in Indian Wells. With all the top ranked players from both the ATP Tour and WTA entered into the event, there will also be a strong contingent of contenders looking to raise the trophy for the first time including two players still in the running for the WTA No. 1 ranking at the Australian Open – World No. 6 Petra Kvitova and World No. 8 Karolina Pliskova. In addition, major singles champions (not mentioned above) including Venus Williams; World No. 2 Angelique Kerber; Stan Wawrinka; Garbine Muguruza; World No. 5 Sloane Stephens; World No. 7 Marin Cilic; Jelena Ostapenko; and Sam Stosur will all vie for their first BNP Paribas Open title. Four Americans to watch for in the desert are Danielle Collins,who is into her first Grand Slam semifinal; Frances Tiafoe, who reached the quarterfinals in Melbourne; ATP Tour World No. 10 John Isner; and top 20 ranked Madison Keys. 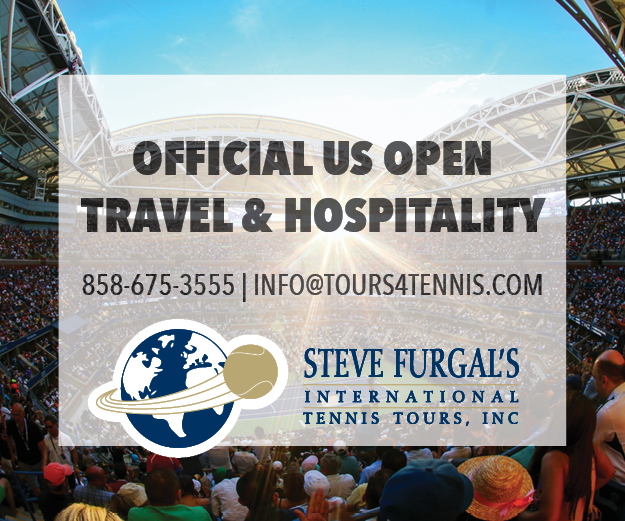 The will be joined by top 10 ranked stars on the ATP Tour – World No. 4 Alexander Zverev, World No. 6 Kevin Anderson, World No. 8 Dominic Thiem, World No. 9 Kei Nishikori; and WTA – World No. 7 Elina Svitolina, World No. 9 Kiki Bertens and World No. 10 Daria Kasatkina. The remaining spots in the draws will be filled by the winners of the Qualifying Tournament (March 4-6), the top two American women and men with the most points in the Oracle Challenger Series, as well as wild cards, which will be announced in the coming weeks.